While it is quicker to go from A to B using the London Underground Tube, you miss out on the sights and sounds of the city. You’ll see much more by taking the no.18 bus to Central London. 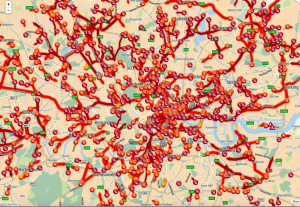 You can check road traffic conditions along the bus route (A404 highlighted in red). 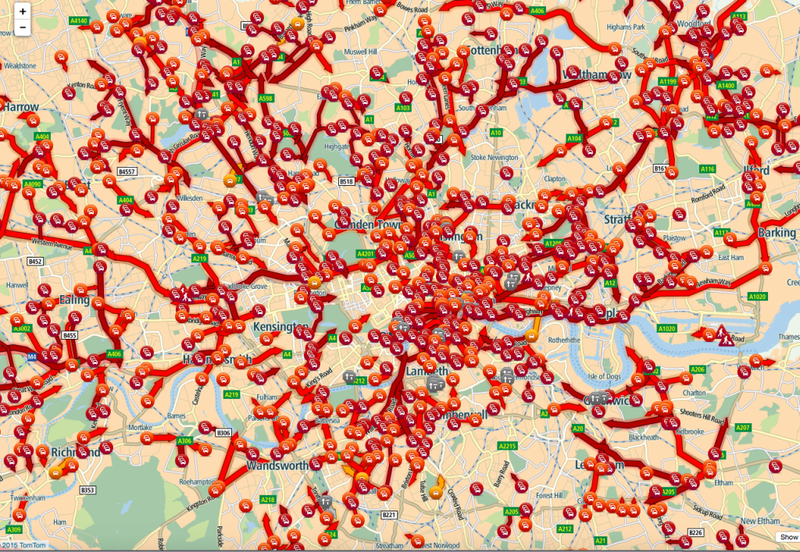 Scroll down the page in the link and click on 'View nearby Jam Cams'. You’ll need to zoom out on Google Maps. Then you can click any camera along the A404 to see live traffic updates.